In junctional rhythm, the heart's atrioventricular node takes over as the heart’s pacemaker (typically at rates of 40-60 BPM) The atria will still contract before the ventricles through a backwards or retrograde conduction (conduction comes from the AV node into and through the atria). 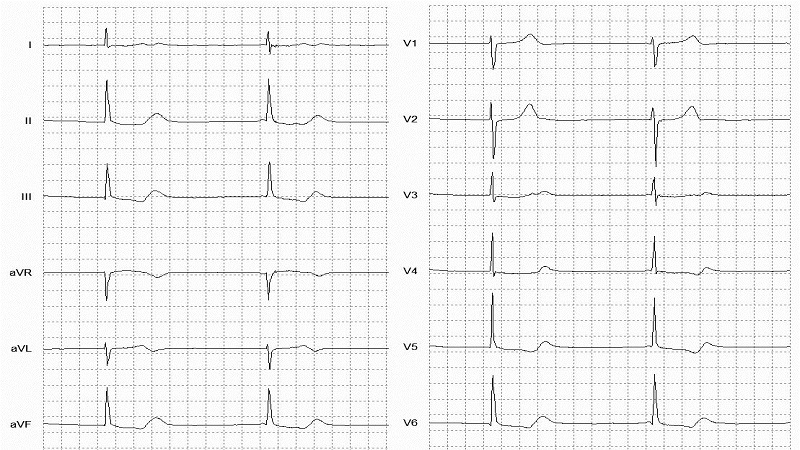 On the ECG, junctional rhythm usually presents with a missing or inverted P-wave. Retrograde P-waves refers to the depolarization from the AV node back towards the SA node.